Seven in 10 or 67.5% of the transactions were priced below $1.5m. 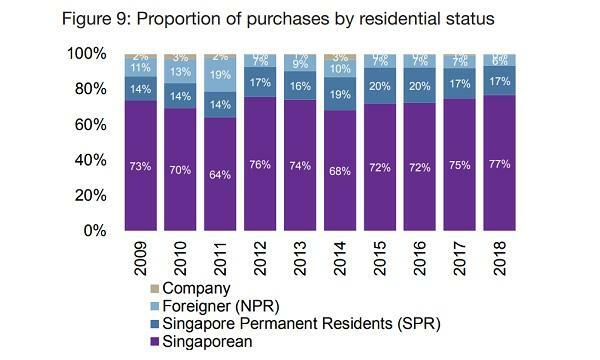 The proportion of total condo sales by Singapore citizens (SCs) rose from 74.7% in 2017 to 76.6% in 2018 as the cooling measured had a greater impact on Singapore permanent residents (SPRs) and non-permanent residents (NPRs), according to a report by Edmund Tie & Company (ETCo). This was the highest since 2009, surpassing the 75.7% in 2012. In 2018, the 5% hike in Additional Buyer’s Stamp Duty (ABSD) rates and tighter Loan-to-Value (LTV) limit by 5% hit SCs and NPRs who are acquiring their second and subsequent residential properties. Post-cooling measures, the dwindling investor demand from SCs was the main contributor for the 9.2% decline of condo sales to 14,827 units, ETCo said. The report also noted that SC buyers seem to remain price-conscious amidst rising interest rates and the cooling measures as 67.5% (69.8% in 2017) of condo sales were priced below $1.5m. Meanwhile, 28.8% (28.5% in 2017) were transactions under $1m. 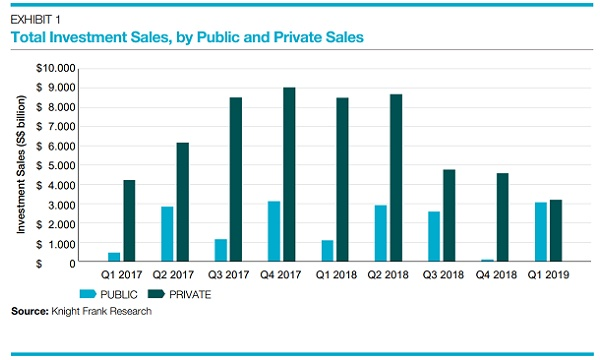 Local buyers who opted for higher priced units rose to 32.5% as transactions priced between $1.5-2m rose to 19% from 17.5% in 2017 whilst condo sales of those priced between $2m-$3m rose from 9% in 2017 to 9.7% in 2018. Based on data from the Urban Redevelopment Authority (URA), most of the top selling non-landed projects were in the OCR and RCR . In 2019, the research firm thinks that SCs will likely increase its market share of total sale transactions in 2019, whilst the SPRs and NPRs will continue to shrink especially for NPRs.